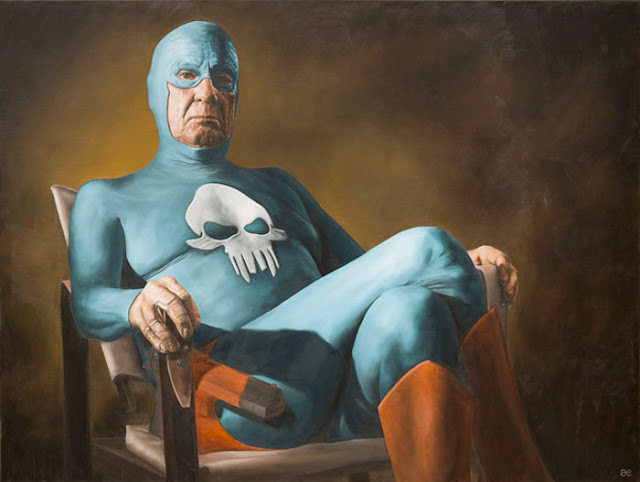 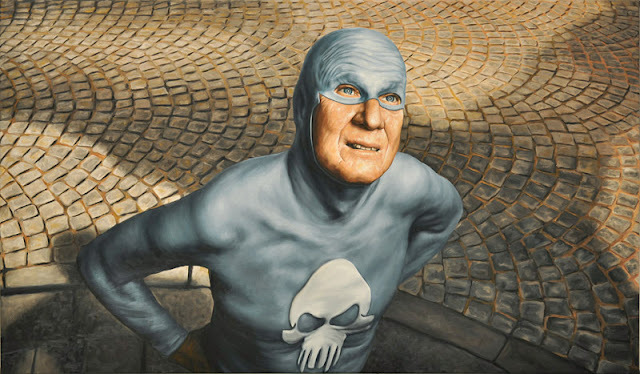 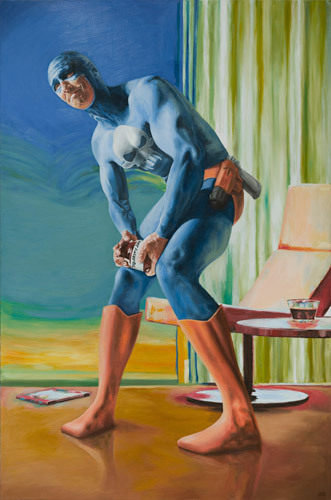 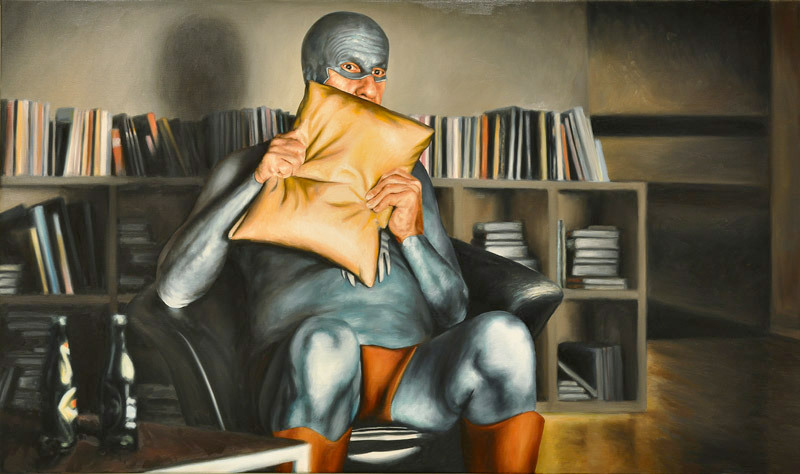 Andreas Englund portrays an elderly superhero trying to get by his final years. 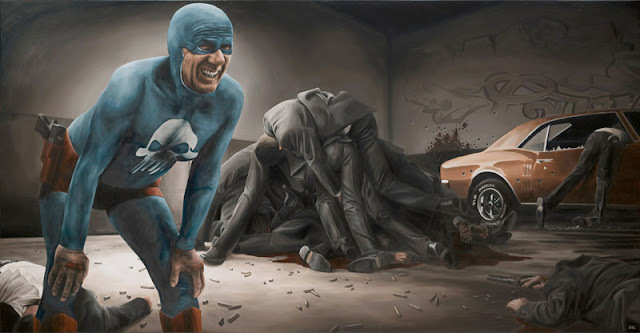 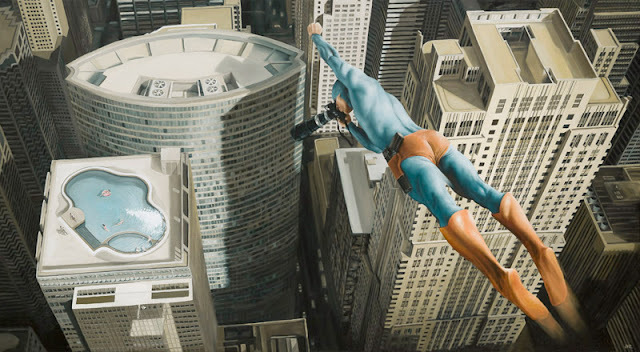 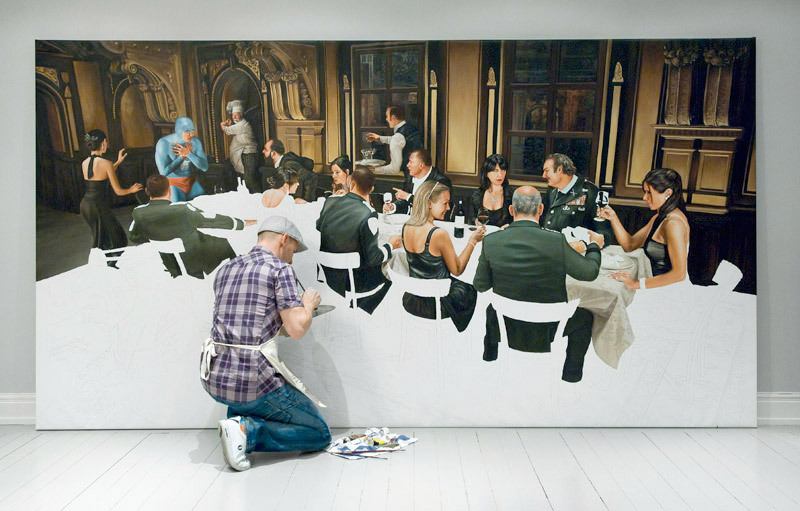 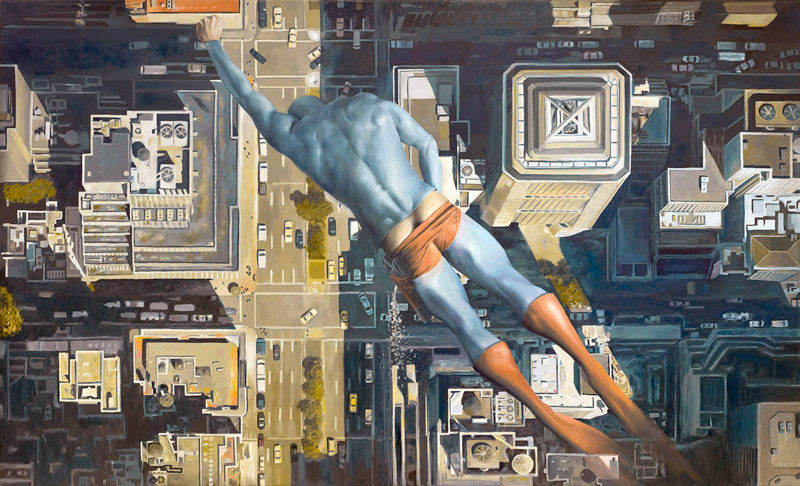 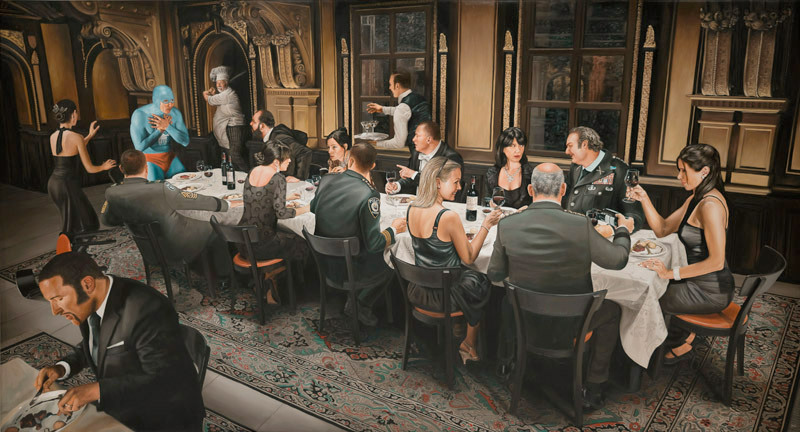 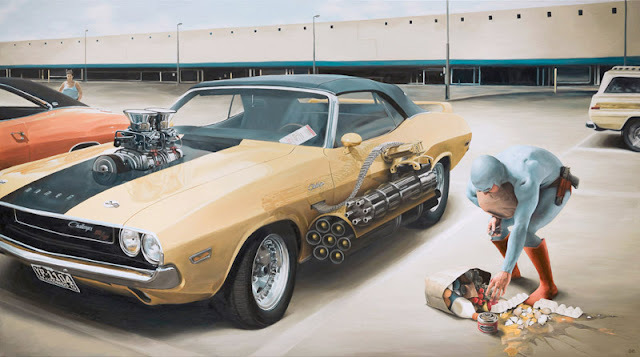 He uses oil on canvas to portray his ideas. 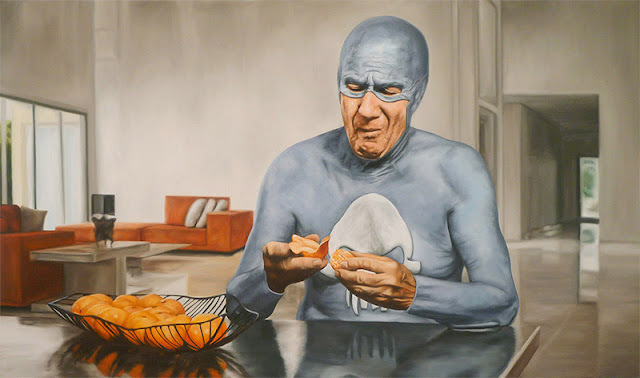 Click here for the mischievous Super Granny and her friends.